Kaskad, meaning ”cascade” in Swedish, is a must have in every womans wardrobe! Get ready for a relaxing knit without any purling. 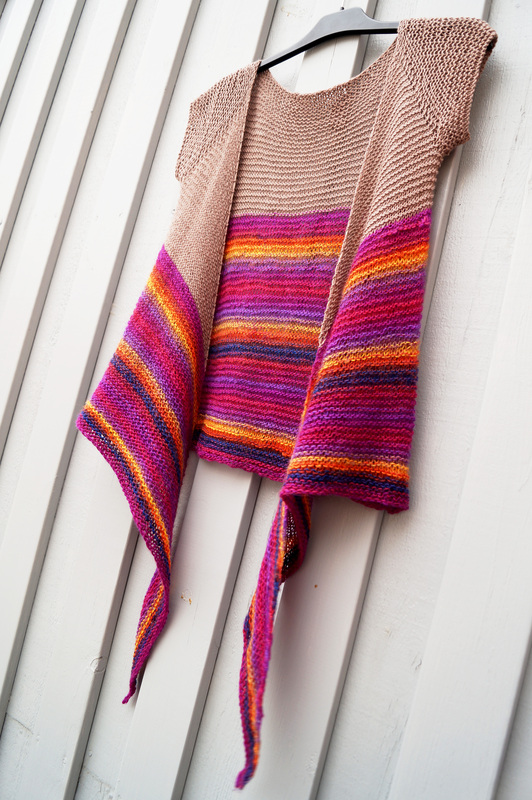 The cardigan is worked topdown in loose garter stitch, resulting a beautiful drape and quickly rewarding you with a cozy and yet elegant cardigan. 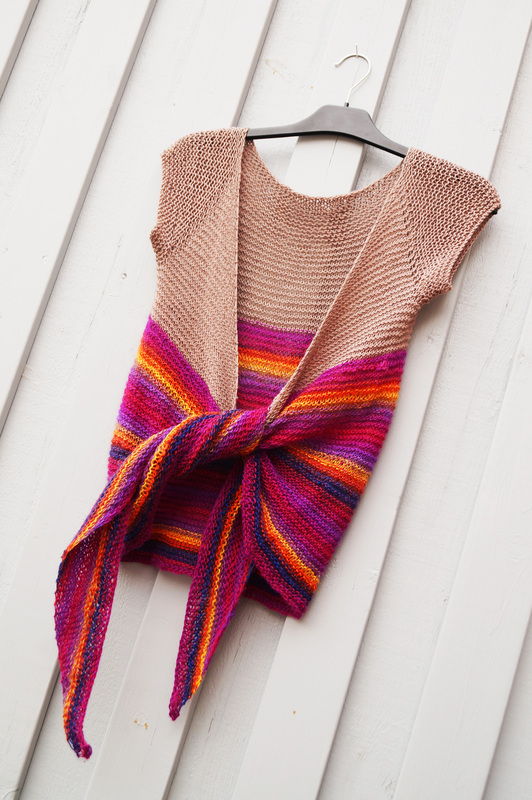 Wear it open or tied around the bust, and go wild with color combos in this 3-color creation! 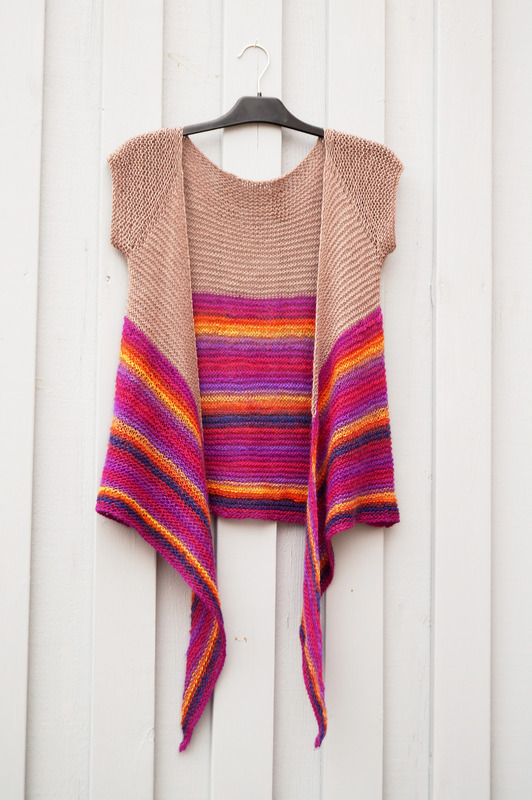 Kaskad is the second of three designs in the Tied together trio. Choose the size closest to your actual bust circumference.